And I’m not fooling myself that you’re missing just *me*–I know you want the giveaways to come back! Don’t worry–they are returning on Monday! And maybe, just maybe, there will even be a special one-day giveaway before then. Congratulations, Jacobsen family, winner of our $25 gift certificate. Please keep an eye on your email… you’ll be receiving an e-gift certificate later today! Why you want this prize: this gives you the ultimate in flexibility and options, as you can spend your gift certificate on anything in the store! Details: winner will be chosen using a random number generator. Deadline for last “comment” is Saturday, March 13, at 9 a.m. PST. Winner to be posted Saturday, March 13, by 9 p.m. and has 72 hours to claim prize. If no response, a new winner will be selected and announced the next day. Leave a comment telling me: what would you spend your $25 gift certificate on? 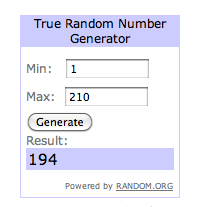 Congratulations, Mummatutu, winner of two California Baby items! Look for an email from me with details on how to redeem your prize. Join Mothering Grace at a great event! 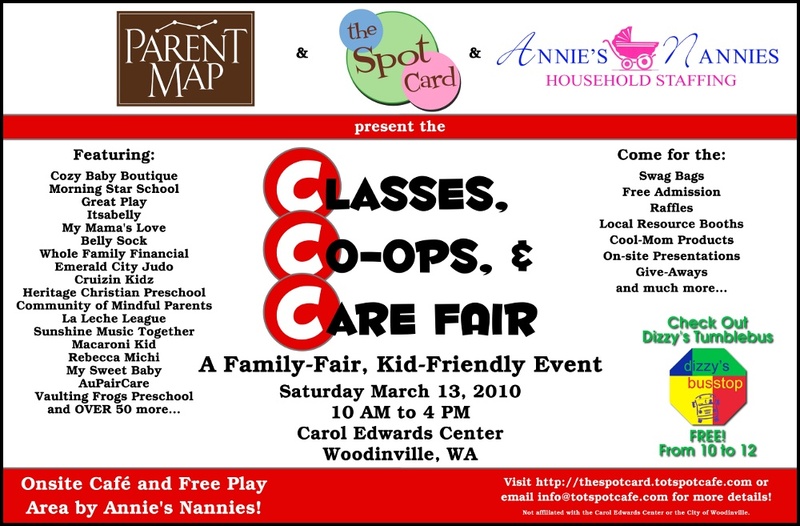 Please consider visiting Mothering Grace at the Classes, Co-Ops, & Care Fair this Saturday in Woodinville! There will be tons of great vendors there, as well as classes on all sorts of baby and child-related things. Mothering Grace will be hosting a cloth diapering class at 2:30, so if you have any friends who are on the fence about cloth diapering, this is a great time for them to learn more! Why you want this prize: California Baby skincare is made of the finest, gentlest ingredients for your baby’s skin. Since switching to California Baby, Grace’s eczema has cleared up tremendously! Details: winner will be chosen using a random number generator. Deadline for last “comment” is Friday, March 12, at 9 a.m. PST. Winner to be posted Friday, March 12, before noon and has 72 hours to claim prize. 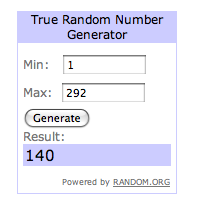 If no response, a new winner will be selected and announced the next day. Leave a comment telling me: what California Baby skincare item would you like to try? Congratulations, OneSouthernGirl! 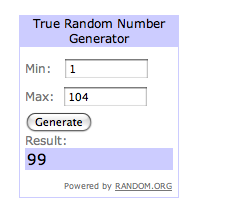 You are the winner of our AppleCheeks giveaway. I’ll be in touch! And feel free to keep entering our giveaways, since you can win more than once! There are still two more chances to win prizes this week for the rest of you. Good luck!